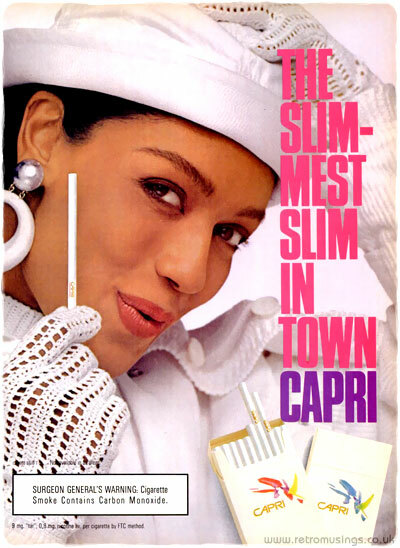 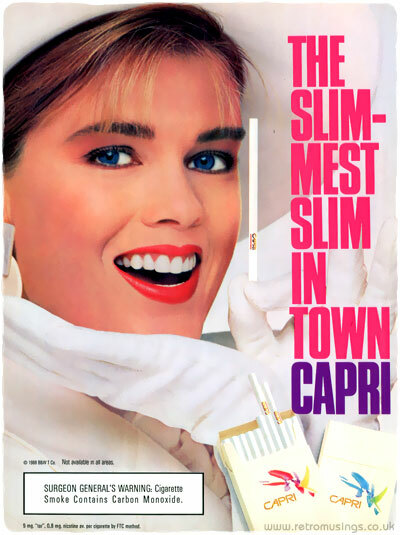 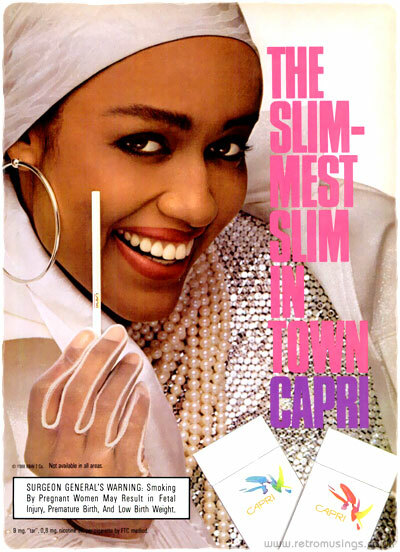 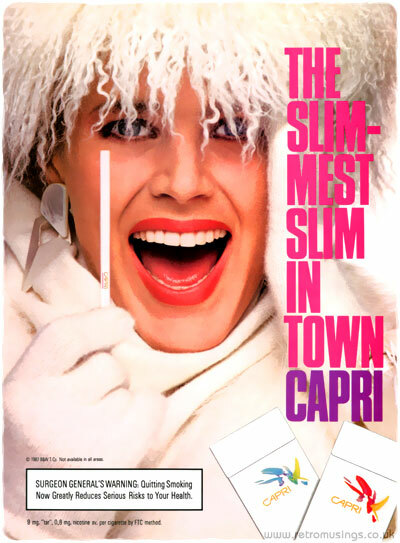 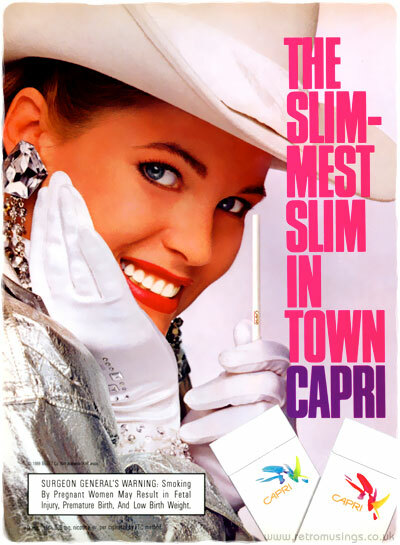 This ad campaign for Capari cigarettes dates from 1987. 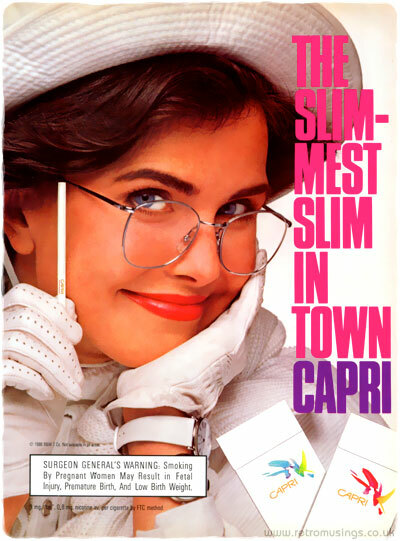 Each ad featured a close-up of a female model clad in white clothes, hat and gloves. 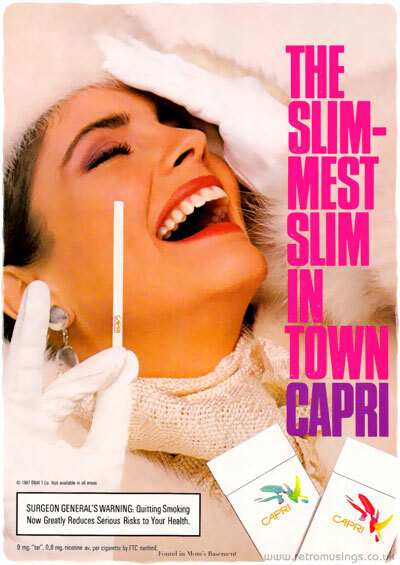 Their cigarettes were unlit and held straight upwards.